Saying hello to my blog audience & sharing news about my book … It’s coming in 2012! It’s been a long time since we connected on this blog. I hope your fall season is going well. 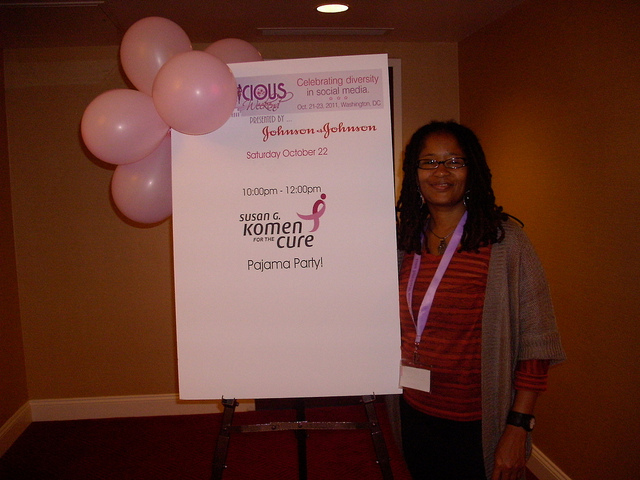 Mine has been filled with revelations like the one I had during the Blogalicious Weekend Conference on October 21-23, 2011. While I was learning, sharing, laughing, sipping on cocktails at the evening events, chatting and drinking wine in the Wine Sisterhood Sassy Suite, and enjoying digital sisterhood and brotherhood moments at Blogalicious, I realized I needed to be honest with myself about the work I have taken on as the Digital Sisterhood Network founder. I made a list of all of my obligations, goals, and upcoming activities. Looking at the list on Sunday helped me see I needed to give myself more time to finish my next book, Digital Sisterhood, a memoir. More time is several months. That means the book will be published in 2012. It feels really good to share my revelation and plans with you all! Thank you for your continued support and positive energy! Check out the links below to see what I have been doing.